Ok, so I’m busy trying to write but wanted to touch base with my writing friends. 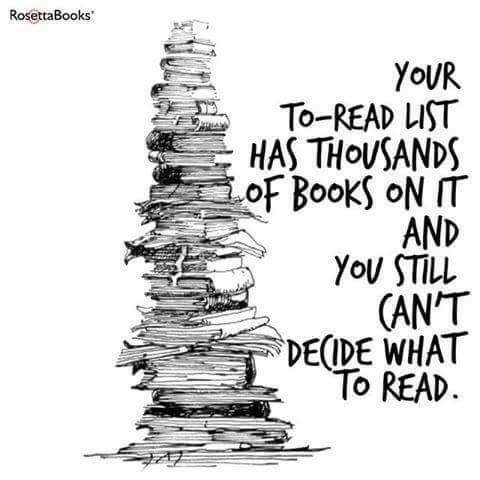 I personally don’t ever feel this problem even if there are thousands of books out there that I’d like to read, I narrow my focus and read a few different books at the same time. Currently reading two different novels, a self help book and a set of old norse poems. Thanks for the comment. I’m sort of reading two right now, but one has more of my attention. The other one is a slower read. If I get two really going at once it has to be pleasure reading and something for work.